Niagara Falls, NY - Members of the Supreme Temple Daughters of the Nile bid farewell to their reigning Supreme Queen Cathy Carol Rose of Indianapolis, Indiana, by singing the song "I Got You Babe," by Sonny and Cher. Rose's term as Supreme Queen is coming to an end and she is preparing to pass on her crown to the next. 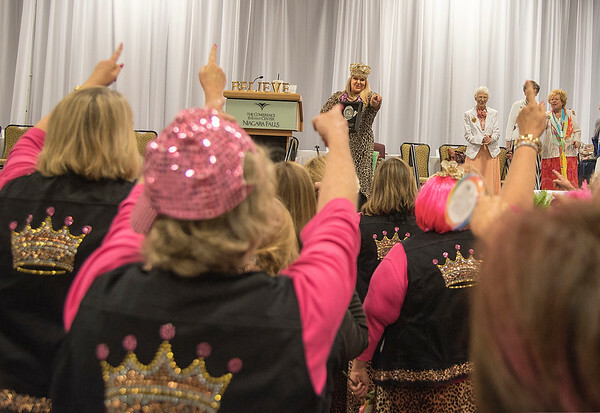 The Supreme Temple Daughters of the Nile held their 101st Annual Supreme Session this week at the Conference and Event Center Niagara Falls.